The senior phase of learning incorporates Years 10, 11 and 12.  At Cathedral, Year 10 is seen as a foundation year that prepares students for Years 11 and 12. It is a year in which students can 'sample' senior subjects to assist them in choosing which pathway they would like to travel down in the final two years of school. In Years 11 and 12, Cathedral offers students many options in their academic choices, as well as the support that matches students to the pathway that best suits their interests, tertiary prerequisites, career aspirations and personal strengths. Students are prepared for employment, traineeships, apprenticeships, TAFE, the Defence Forces and university. The Cathedral School senior curriculum is a challenging and inspiring mix of traditional study and modern skills that equips students to take their place in the changing environment that is the workforce in the 21st century. In Year 10 students take a group of core subjects (taken by all students) and elective subjects (taken by some students). The core subjects are English (either English or Extreme English), Mathematics (Mathematics or Extreme Mathematics), Science, Humanities, Christian Education, Physical Education and Personal Development. In the first group of electives students choose from Music (which is taken for two semesters) or Performance Arts, Design and Technology, Graphics, Food Textiles Technology or Visual Arts which are studied for a semester each. In the second group of electives students choose from French or Japanese (which are taken for two semesters) or ICT, Health and Physical Education, Design and Technology, Food Textiles Technology and Enterprise which are studied for a semester each. Students taking French, Japanese or Music in Year 10 are expected to have studied these subjects in Year 9. There are many pathways that students in their senior years can take. It is important in the first instance for students to have a general idea of what they wish to do on leaving school as this will determine a student’s choice of academic program. All students undergo a career investigation and planning process in the second semester of Year 10, helping them to make critical decisions about the best pathway for their senior phase of learning. In Year 11, they all complete a week of Work Experience, and some students opt to do additional work experience during Year 11 and 12 to further explore their career options. Students who are planning to go to university after graduating generally study six Authority subjects or five Authority subjects and one other. Authority subjects are OP (Overall Position) subjects and are needed for tertiary entrance. One of these subjects must be English (English or English for ESL Learners) and Mathematics (Mathematics B or Mathematics A). Students who wish to combine school studies, on the job training and some vocational studies can elect to do a school based traineeship or school based apprenticeship. This generally involves doing one day of work per week, some TAFE studies and four school subjects. Traineeships and apprenticeships are generally for the two years of senior schooling. Traineeships finish when a student leaves school but apprenticeships continue after graduation. The school will assist families with the paper work required to set up a traineeship or apprenticeship but some family assistance may be required to find a suitable employer. Some students do not wish to undertake a formal traineeship or apprenticeship, but still work. The school is able to assist students in getting work placement one day a week. This enables students to learn valuable skills (while still at school) which they can demonstrate to an employer on graduation. These students usually take four or five school subjects. The Barrier Reef Institute of TAFE offers many valuable courses for Cathedral students. Students who go to TAFE usually go one day per week and work towards a certificate I, II or III in a chosen area. Students who go to TAFE usually take five subjects. The options listed above are not exhaustive. Students can plan their own study pathways in consultation with the Director of Studies and Careers Coordinator. At the end of Year 12 most students are eligible for the Queensland Certificate of Education. This certificate records a student’s performance in a wide range of studies that can be undertaken in Years 10, 11 and 12. The management of a student’s eligibility for a QCE occurs on an individual basis at the school. For university entrance, students must study five OP subjects for the two years of 11 and 12. It may be possible for an OP ineligible student to be considered for university entrance through the selection rank process. This process is managed by the Careers Adviser. Every year, about 35-45 Year 11 and 12 students are enrolled in a wide variety of Certificate Courses from Hairdressing and Nursing to Automotive and Electro-technology and Justice studies to Media/Animation. These courses are all taken by Nationally accredited RTO's including TAFE and TCTC. In addition, there are a number of students who are participating in regular work experience, and others who are signed up as school-based trainees or school-based apprentices while they are completing their final years at school. This gives them great preparation for the workforce and easier access into their chosen career, as well as invaluable work experience references for their chosen tertiary pathway. or B (both OP or tertiary entry) or Prevocational Mathematics (non OP subject but does meet QCE numeracy requirements). ii) All students have lessons in Christian Education, Lifeskills Physical Education and Personal Development (these are subjects offered only by Cathedral - school subjects). iii) Students choose up to four subjects (depending on their pathway) from the list of subjects below. Columns of subject choices are developed after students have indicated their preferences - clashes on a student timetable may occur. Unless indicated, all subjects contribute towards an OP or tertiary entrance. * not an OP subject but counts towards a QCE/selection rank. Each of these subjects is also offered at a non-OP level i.e. a school subject. This means that it will not contribute towards an OP or be recorded on the QCE but will be recorded on a certificate issued by Cathedral. Two popular subjects are non-OP Technology Studies which is called Woodwork and non-OP Graphics which is called Trade Drawing. iv) Music, Music Extension and Mandarin classes will occur outside normal lesson times depending on student numbers. v) Where the total number of students enrolled in any course is 10 or less, the subject cannot be guaranteed but an attempt will be made to offer it. vi) A request for a change in a subject must be made to the Deputy Principal within the first two weeks of a semester. The granting of such a request may occur after consultation with the student, Head of Department, Dean, Careers Coordinator and Parents. Students are not permitted to drop a subject and have spares. Students who have been ascertained for a disability (Special Needs) and require an Individual Education Plan (IEP) or and EAP (Education Adjustment Plan). Students who have been diagnosed formally with a learning difficulty, such as dyslexia. Students who have fallen below the Literacy and Numeracy benchmarks in the NAPLAN testing. The aim of the department in the Senior School is to assist students to take responsibility for their own learning. This is achieved by working with teachers to develop classroom and learning strategies which will equip students for lifelong learning. Teacher aides may be used in classes to assist students to engage with their learning. At times students may need to be withdrawn from classes to work on specific skills. This is done in consultation with teachers, parents and the Head of the Learning Support Department.